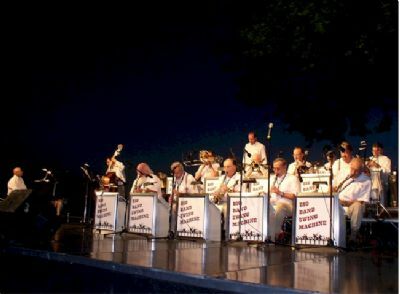 Organized in the mid 70's, the well known 9 to 16 piece BIG BAND SWING MACHINE, has since evolved into the premier big band in the New York area. Having performed at New York's Waldorf Astoria and Plaza Hotels, as well as the Catskill's Concord, Grossinger's, Nevele, Granit, and Kutshers hotels, the orchestra currently travels to cover the complete New York metropolitan area, including Connecticut, New Jersey, Pennsylvania, and upstate New York, as well as New York City and Long Island. 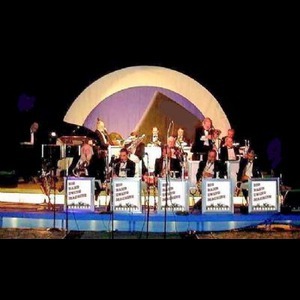 Our extensive repertoire allows us to cover any type of entertainment event, from the classic Big Band swing and jazz, to the 50's, 60's, Motown, and disco dance music, as well as Latin and ethnic music as requested. We do it all. 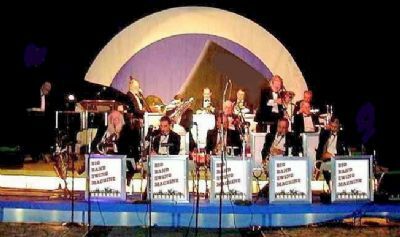 The orchestra is available for large or small Corporate Events, Weddings, Banquets, Fund Raisers, Concerts and Festivals, Night Clubs, and any other event requiring a top notch Big Band. Your complete satisfaction is most important to us, and we strive to personalize each and every event. Please note Big Band Swing Machine will also travel to Congers, Valley Cottage, Garnerville, Haverstraw, Nanuet, Pomona, Spring Valley, Thiells, West Nyack, West Haverstraw, Blauvelt, Monsey, Nyack, Stony Point, Croton On Hudson, Pearl River, Tallman, Buchanan, Montrose, Montvale, Orangeburg, Ossining, Suffern, Tomkins Cove, Verplanck, Briarcliff Manor, Mahwah, Maryknoll, Park Ridge, Piermont.